The Most Reverend Raymond Chappetto, D.D., V.G., was born August 20, 1945, in Astoria. He studied at Our Lady of Angels Seminary, Albany, where he holds a Master’s of Divinity, as well as a Master’s of Arts in Religious Education from St. John’s University. He is also certified in Pastoral Counseling. He was ordained May 29, 1971, by Bishop Francis Mugavero at St. James Pro-Cathedral, Downtown Brooklyn. His priestly assignments include associate pastor at St. Camillus, Rockaway Beach (1971-75); St. Pius V, Jamaica (1975-76); Incarnation, Queens Village (1976- 81), and St. Helen, Howard Beach (1981-83). He was among the first to be involved in Team Ministry at Our Lady of Miracles, Canarsie, from 1983-89, where he ultimately became pastor. He served there until 1995 when he was named an Episcopal Vicar for Brooklyn West. In 1999, he became pastor of Our Lady of the Snows, Floral Park, and was named Pastor of the Year in 2008 by the National Catholic Education Association. While remaining pastor of Our Lady of the Snows, Msgr. Chappetto was appointed Minister for Priests and in 2009 he was named Vicar for Clergy and Consecrated Life. In June 2012, he was named Pastor of St. Kevin, Flushing, and in September 2013 he was named Vicar General. 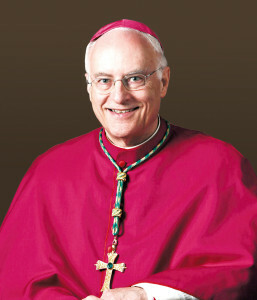 Bishop Chappetto was named a Prelate of Honor by Blessed John Paul II in 1997. He speaks English and Italian.